Completing the approximately 1.7 miles of Parley’s Trail adjacent to I-80 was a unique challenge due to dense development and the freeway as a barrier. 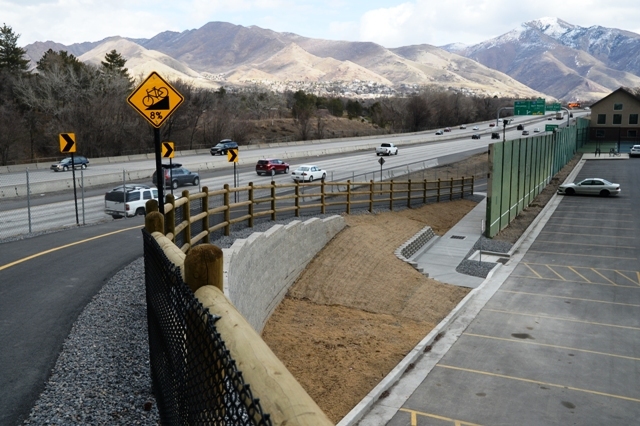 After extensive coordination with property owners and Utah Department of Transportation, the PRATT Coalition worked with Salt Lake County and Salt Lake City to identify a permanent alignment for Parley’s Trail on the south side of I-80. In 2017, City and County officials celebrated the completion of this section. A bridge over 20th East carries trail users over the street below. A new tunnel and bridge directs bicyclists and pedestrians from Tanner Park to Sugar House Park. The new design provides a fast, direct and comfortable option that completely bypasses any conflicts with freeway motor traffic or street intersections. 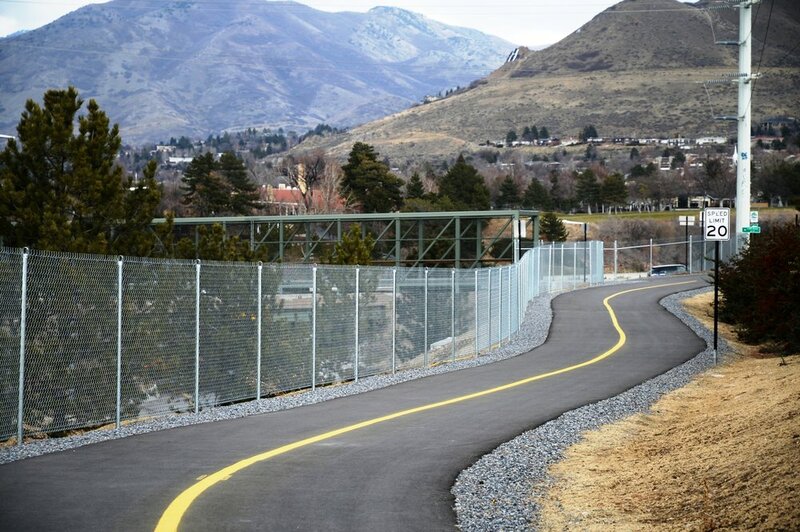 Neighborhood access to the Trail is available along this section at 23rd East St. west of Congregation Kol Ami, at 20th East, and at the Salt Lake Swimming and Tennis Club on 17th East. Access from Crystal Avenue to the Trail will be finished this spring, as will landscaping along the corridor. Trail access from 1700 East and SL Swimming & Tennis Club. Neighborhood access at 2000 East. Neighborhood connection from Heritage Ave.